We’ve all been there; about to catch a train, rushing between meetings or on the way to the gym and in the need of a quick snack to halt the hunger pangs. In this heightened state of hanger, we might head straight to the nearest high street cafe or corner shop and grab something full of sugar or salt that propels us straight to an afternoon crash. Not exactly ideal. Staying healthy on the go can be a real challenge, but we’ve got a few tried and tested methods up our sleeves to share with you so that you can maximise energy and stop wasting the pennies. 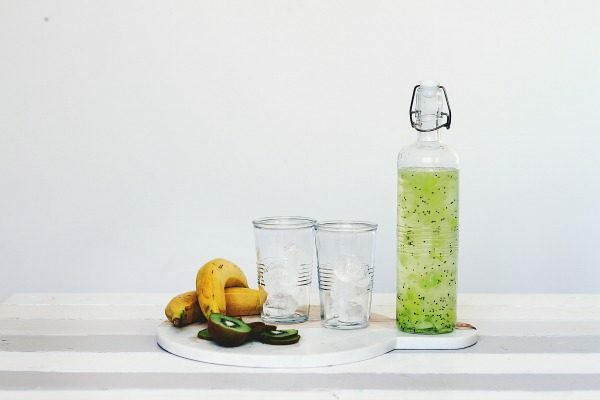 If you haven’t got a reusable water bottle already, pause reading this blog and buy one online. Seriously. Having a bottle of water with you at all times (and drinking from it!) is essential to good health. Most of us don’t drink as much water as we should and this results in us feeling tired, foggy and hungry. Set yourself a goal to drink and refill your bottle three to four times in the day and see what a monumental difference it makes. Now, we’re not suggesting stuffing your face before heading out the door to avoid the allure of the croissants in the train station. This is more about making sure that you’re eating three, well balanced meals a day that are going to keep you full. 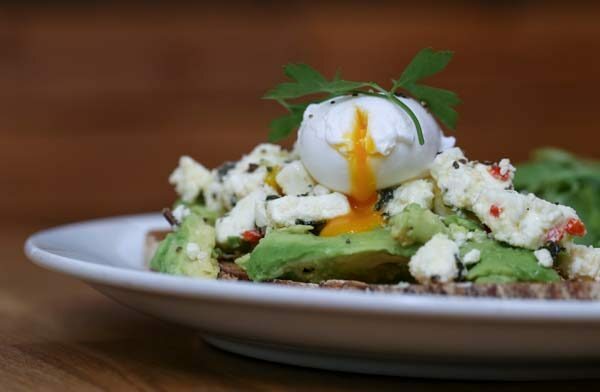 Missing breakfast can often be the beginning of a day of unhealthy food choices, so be sure to start the day as you mean to go on. Two golden words; meal prep. Prepping food is the key to nailing healthy eating on the go. Spending a couple of hours on a Sunday making and portioning a few meals into tupperware will set you up nicely for a week of satisfying, filling meals. 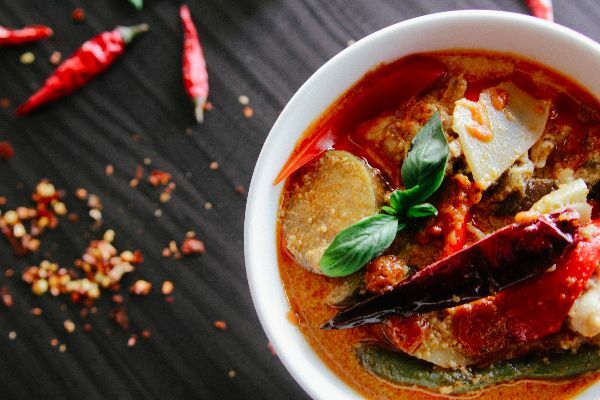 We always find meals like stews and curries, rice or pasta dishes work really well for this. If you’re not the organised type, or tend to leave things last minute, one of the best ways to prepare is to make a bit more dinner the night before, and keep it for lunch the next day. You can also prep snacks to bring on the go, chop up some seasonal fruit and veg and keep it in the fridge to grab when you need it. Inevitably, there will always be times where you haven’t managed to prep or have a proper breakfast. For times like these, it’s always worth keeping a selection of healthy snacks in your car, bag, desk drawer. That way if you’re in a pinch, you’ve always got tasty, energy boosting foods to hand. 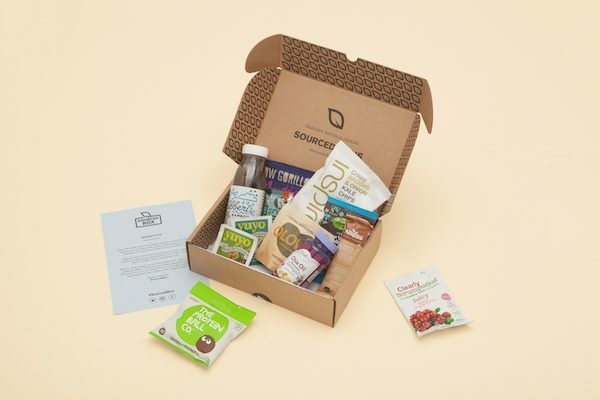 SourcedBox comes in pretty handy here, with a monthly subscription you’ll be stocked up with a delicious selection of healthy, natural snacks each and every month.